Background/Purpose: The prevalence of fibromyalgia (FM) is 10-20% in rheumatoid arthritis (RA) patients, compared to 2-3% in the general population. Previous studies have shown that RA patients with FM have higher disease activity, greater medical costs and worse quality of life compared to RA patients without FM. However, these studies were limited due to their cross-sectional design. In this study, we determined the impact of FM on 2-year changes in functional status of RA patients in a prospective study. Methods: Subjects in a single center RA registry were enrolled in a 2-year prospective observational substudy examining characteristics of FM. Subjects completed questionnaires every 6 months and underwent physical examination and laboratory tests yearly. The primary outcome was change in the Multidimensional Health Assessment Questionnaire (MDHAQ) score from baseline to 2 years. The MDHAQ was scored on a scale of 0-3, with 3 indicating the worst functional status. The primary predictor was FM status, a dichotomous variable derived from the FM survey scale, with a threshold of ≥13 indicating FM. The FM survey scale is a validated, self-report measure based on the ACR 2010 preliminary diagnostic criteria. It consists of 2 scales, assessing widespread body pain and somatic symptoms. Multivariable linear regression models were used to examine the association between FM status and change in MDHAQ score, adjusted for age, gender, race, baseline MDHAQ score, disease duration, RF/CCP seropositivity, disease activity and anxiety/depression. In secondary analyses, we also examined the association between the baseline FM survey score, as a continuous variable, and change in MDHAQ score over 2 years. Results: Of the 156 included RA subjects, 134 (85.9%) were female, and 145 (93.6%) were Caucasian. Mean age was 58.5 ± 11.0 years. Mean disease duration was 15.4 ± 9.2 years, and 111 (72.1%) were seropositive. Twenty-six patients (16.7%) had FM, while 130 patients (83.3%) did not. Compared to RA patients without FM, RA patients with FM had significantly higher baseline MDHAQ scores (RA with FM: 0.74 ± 0.40, RA alone: 0.43 ± 0.39; P < 0.001) and Hospital Anxiety and Depression Scale scores (RA with FM: 13.65 ± 6.74, RA alone: 8.22 ± 5.75; P < 0.001). In a multivariable linear regression model adjusted for the covariates listed above, RA patients with FM had a 0.15 unit greater 2-year increase in MDHAQ score than RA patients without FM (P = 0.012). In secondary analyses examining the association between continuous FM survey score and change in MDHAQ, higher FM survey scores were significantly associated with greater 2-year increases in MDHAQ score (β-coefficient 0.014; P = 0.005). Conclusion: RA patients with FM experience significantly greater 2-year worsening of functional status compared to RA patients without FM. The difference in the increase in MDHAQ score was 0.15 units higher over 2 years in the RA with FM group compared to those with RA alone. This difference is striking given that MDHAQ scores typically only increase 0.01-0.016 units per year in stable RA patients. Future studies are needed to determine if treatments for FM can reduce functional status decline among individuals with established RA. Disclosure: H. Kim, None; J. Cui, None; M. Frits, None; C. Iannaccone, None; J. S. Coblyn, CVS, 5; N. Shadick, Amgen, Questcor, Crescendo Biosciences, UCB, Bristol-Myers Squibb, 2; M. Weinblatt, Amgen, Abbvie, Bristol-Myers Squibb, Lilly, Novartis, Merck, Pfizer, Roche, Crescendo, Myriad Genetics, UCB, 5,Bristol-Myers Squibb, Myriad Genetics, UCB, 2; Y. C. Lee, Forest Research Institute, 2. Kim H, Cui J, Frits M, Iannaccone C, Coblyn JS, Shadick N, Weinblatt M, Lee YC. Fibromyalgia Predicts Two-Year Changes in Functional Status in Rheumatoid Arthritis Patients [abstract]. Arthritis Rheumatol. 2015; 67 (suppl 10). 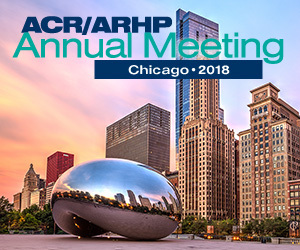 https://acrabstracts.org/abstract/fibromyalgia-predicts-two-year-changes-in-functional-status-in-rheumatoid-arthritis-patients/. Accessed April 18, 2019.